EURAXESS - Researchers in Motion is a unique pan-European initiative delivering information and support services to professional researchers. Backed by the European Union and its Member States it supports researcher mobility and career development, while enhancing scientific collaboration between Europe and the world. EURAXESS Network aims to remove the obstacles to the international circulation of researchers within and outside of the European Research Area by providing information mainly on the topics of Rights, Jobs, Services and World Wide. The Scientific and Technological Research Council of Turkey (TUBITAK) is the main organization to set up and manage the EURAXESS Turkey Network which consists of itself and two other Service Centers based in Ankara and İzmir. Through the EURAXESS Service Center (Service Center), researchers can find practical information on national and international scholarships/support mechanisms for researchers, working and residence permits, taxation/salaries, Intellectual Property Rights (IPR) Issues, accommodation , banking, etc for in the country they are going to travel to and the researcher is helping each other. In order to increase experience level of EURAXESS Turkey Network, TUBITAK organized a training on April 24-25, 2017, in Ankara , TUBITAK . The staff members of EURAXESS Turkey Network at the Middle East Technical University (METU) and İzmir High Technology Institute (İYTE) Service Centers participated in the training. 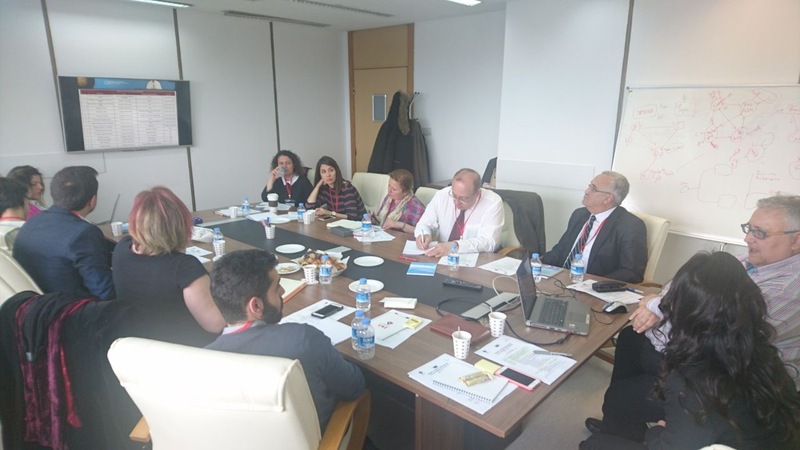 Within the scope of "EURAXESS Turkey Network Training", detailed information about vision and mission of EURAXESS Service Centers, responsibilities, way of communication, Researchers’ Code&Conduct and HR Excellence Logo application procedures were presented. In order to get in touch with EURAXESS Service Centers please click the link. Looking forward to be in touch with you !